Nokia has confirmed that the Lumia 625 will launch earlier than expected in the UK on August 28th. 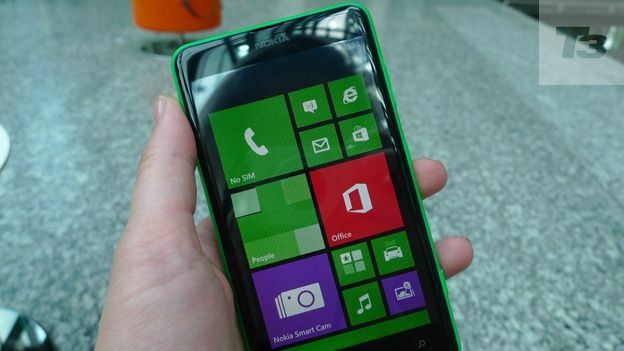 The budget 4G Windows Phone 8 handset will be available on three major networks – EE, O2 and Vodafone. It will also be available through high street retailers Carphone Warehouse and Phones4U. It had been anticipated Nokia would launch the handset next month. According to Nokia, price plans will start at £21 a month for the handset. It will be available on Pay As You Go from £179. The phone comes with five different coloured shells that can be changed, harking back to the days of the Nokia 3000 series. The company is running a special promotion where customers opting for the white or black handsets will get a choice of an extra shell from the other three colours. The budget smartphone comes with an 800x480 display running at 201ppi. It is powered by a 1.2GHz dual-core processor and has 512MB RAM. It also comes with 8GB of internal memory, which can be upgraded by a further 64GB through a microSD card. It comes with a five megapixel rear facing camera and a 1.2 megapixel front facing camera for video calls.